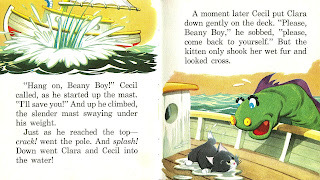 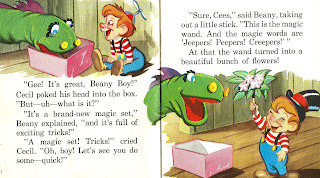 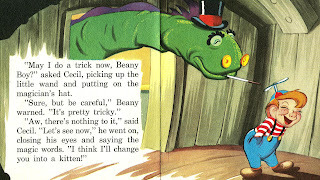 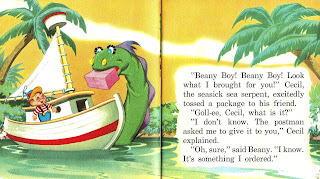 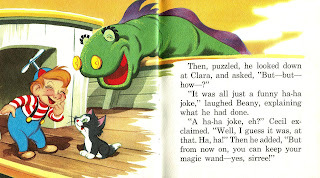 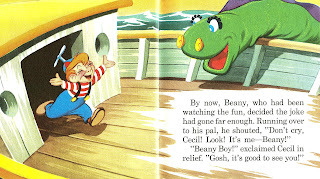 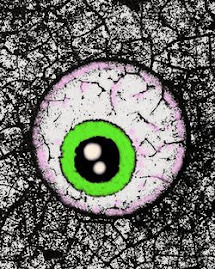 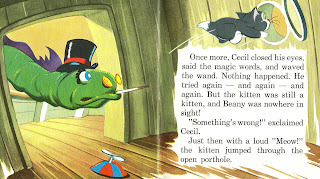 Hairy Green Eyeball: "I'm comin' to save ya, Beany boy!" 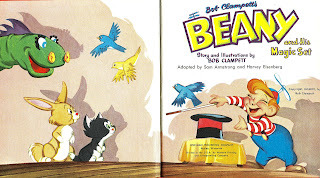 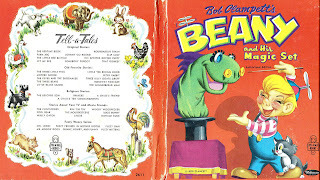 Bob Clampett went from directing Warner Bros. cartoon shorts to a successful run with his early television puppet show, TIME FOR BEANY. 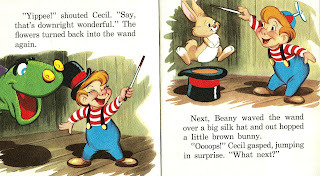 He later did it as an animated Saturday morning cartoon series. 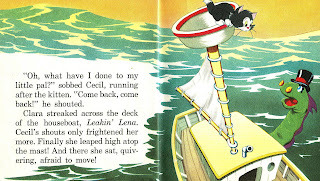 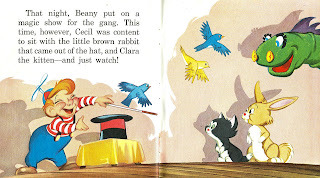 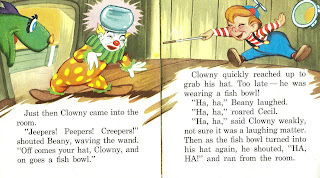 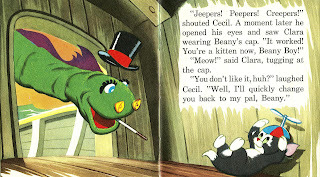 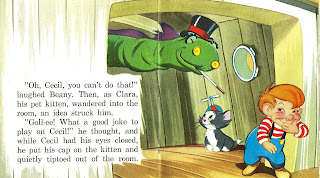 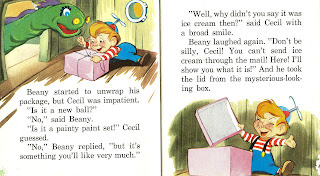 This Tell-A-Tale book is from 1953. Credit for the story and artwork is given to Clampett, with adaptation by Harvey Eisenberg and Sam Armstrong.